Friday 12th November is the date for the 101 ball. 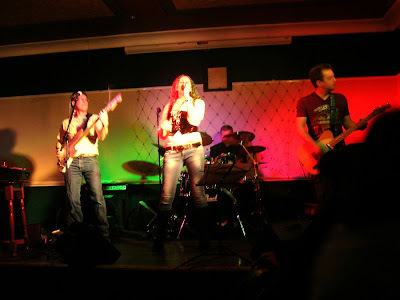 The highlight of the evening will be a set by Swansong, a fantastic and versatile band who play rock, pop, R&B, indie and soul. Band members Karen Higgins, Wayne Bennett, Lol Higgins and Nigel Smith have kindly agreed to donate their services to help the HCPT 101 cause and make the ball a night to remember. Although the band formed last year, the band members have years of touring experience all over the UK in other musical ventures. Their live gigs have received rave reviews from the press and public. Their repertoire includes songs by The Beatles, The Killers, Snow Patrol, Stevie Wonder, Sheryl Crow, Led Zeppelin and Dusty Springfield. There really is something there for everyone! Check out Swansong's website for more information. Most of all, make sure you get your ticket and be at the Danum Hotel next Friday to see this great band play live. Tickets cost £15 and include live band Swansong, a disco, and a hot and cold buffet. The event begins at 7.30pm and ends at 1am. For further information email hcpt101@gmail.com.